She has not only walked for some of the world's best in the fashion business like Vivienne Westwood and Alexander McQueen, but now owns her own label. 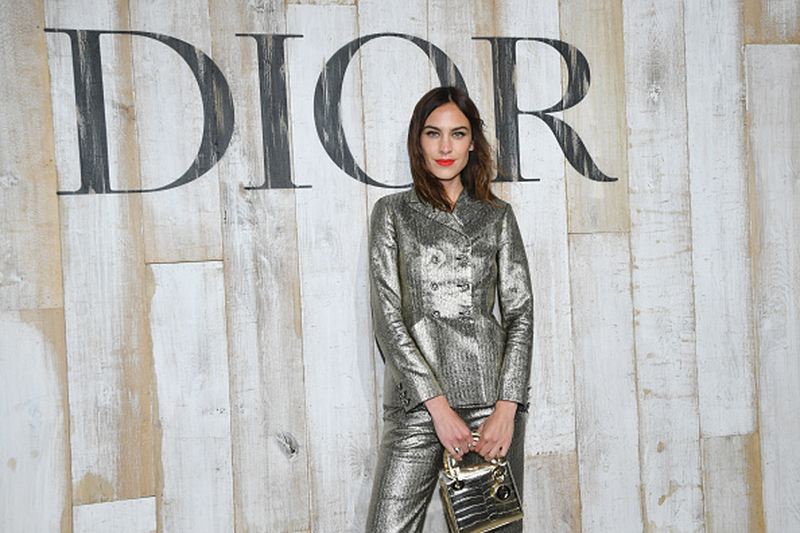 A fashion designer, TV presenter, model, creative consultant and writer, British multi-faceted talent Alexa Chung says she is as busy and committed to her brand as Isabel Marant or a Stella McCartney might be. "I would love to expand my line in India. Probably soon," Chung told IANS in an email interview from London when asked about her plans to expand her line. "I think the Indian market is almost at par and is adapting the trends quite well," added the 34-year-old who has also been named the international spokesperson for L'Oréal Professionnel. She fronts the L'Oréal Professionnel Hair Color Trend of 2018 'Parisian Chocolat'. Chung, born to an English mother and Chinese-British father, was discovered at a music festival by a model scout at the age of 14. In 2006, the young model made her television debut on the show "Popworld". In 2008, she walked for Westwood. In April 2009, Chung moved to the US and started her own TV show on MTV called "It's on with Alexa Chung", which featured celebrity interviews and live music. In 2010, she became the face of Pepe Jeans and designed a bag for Mulberry. In February 2010, she collaborated with Madewell on her first womenswear line, and released a second collection for the label in September 2011. It was in May 2016 that Chung launched her own fashion label named Alexachung. On the life that comes with stardom, she said: "I was explaining to someone that although I'm not yet established enough for people to understand my focus and my job, the reality is I'm as busy and committed to my brand as Isabel Marant or a Stella McCartney might be. "So I suppose my next project will be proving myself to people and showing them or getting them to understand my commitment and to take it seriously." With so many roles to play, she says she enjoys such variations. "I love variation! I started in television as a host after modelling, then moved into writing, and from TV work ended up being offered to cover fashion shows as a journalist. Then I was asked to sit front row, and then collaborate on design and now here we are. I have my own clothing line and for it I also have to create online content so it's all one big circle," she said. Chung is known for her whip-smart, stylish and cool personality. "Being British, I don't want to be all paranoid and arrogant and think people are looking at me because, really, I'm nothing. I have never lived in a time when people haven't told me what I look like. "Since I was 15, people were telling me, 'You're the girl next door, you look like this, you should have your hair like that'. Well, hopefully if people are responding to my look, it's because I dress for myself," she said. With the new association with L'Oréal Professionnel, she hopes to have a "wonderful" journey. "I love the products I embody. I tried Pro Fiber... It repairs your hair for a good length of time, and the result is great. In hair colour, the new Parisian Chocolat collection is fantastic to get the French chic vibe in salon," said Chung.